What a perfect whimsical way to make a great spring snack, breakfast or dessert! 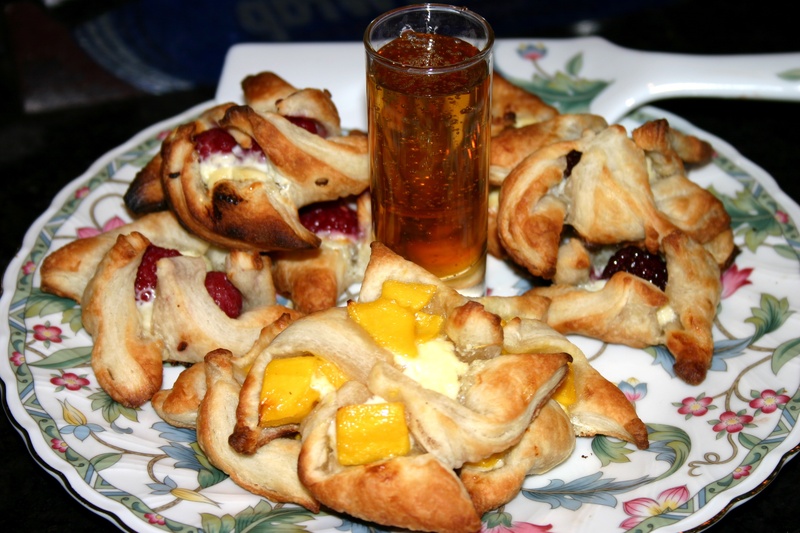 You can choose sweet or savory ingredients and in no time you have your delightful creation! 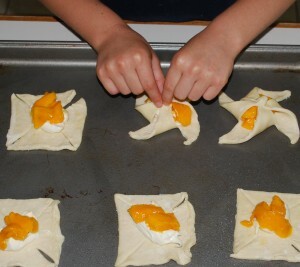 Making Puff Pastry Pinwheels is very easy that I get my boys to help me out plus they think it is fun! My boys think they look like pinwheels blowing in the breeze and love to mix up different flavors creating their own special pinwheel! Give a few of my sweet options a try and/or mix up your very own creation! I think this is a perfect example of when to use a little extra effort and time to make a great presentation. It is so easy that my boys are able to do it as shown below. Remember to have fun and that no matter what they look like they will taste great! Step 1. 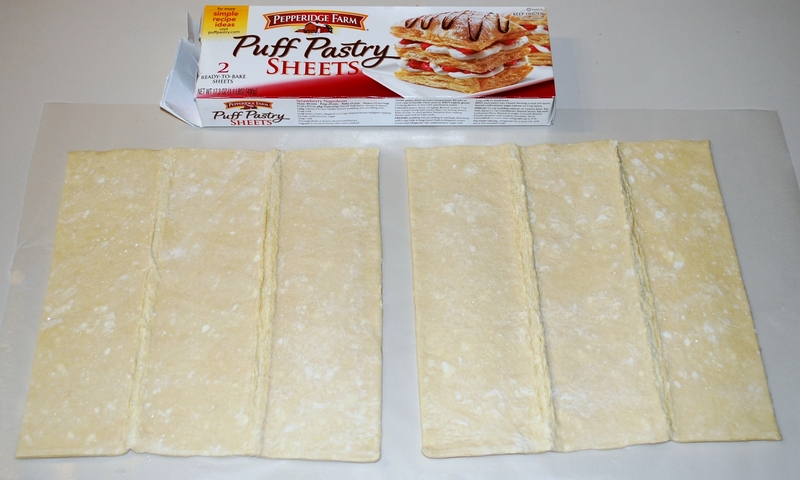 Remove dough from the package and place on parchment paper or a floured surface. 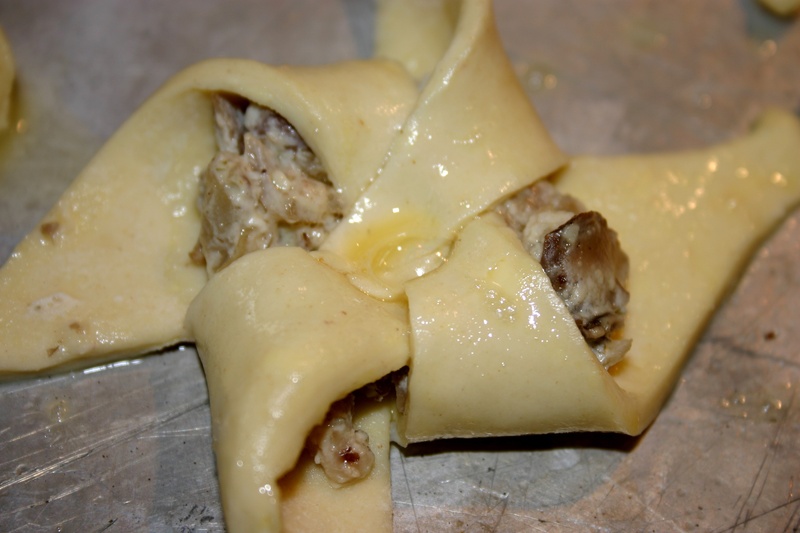 Once dough has thawed enough to unfold, do so. Other wise it will end up sticky and will be difficult to unfold. 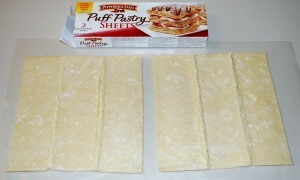 The Pepperidge Farm brand comes folded, cut following the vertical creases. This will create 6 long rectangular pieces. Then make two additional horizontal cuts for each rectangular piece. This means that you will have a total of 18 squares. 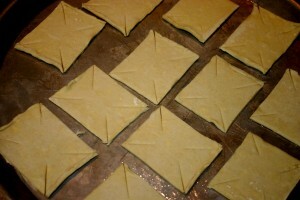 Step 2: Spray cookie sheet with non-stick spray and place squares onto sheet and cut into each square about one inch to one and a half inches on each of its corners as shown. The cuts will resemble an incomplete triangle on each side and this is important to remember when you get to step 4. 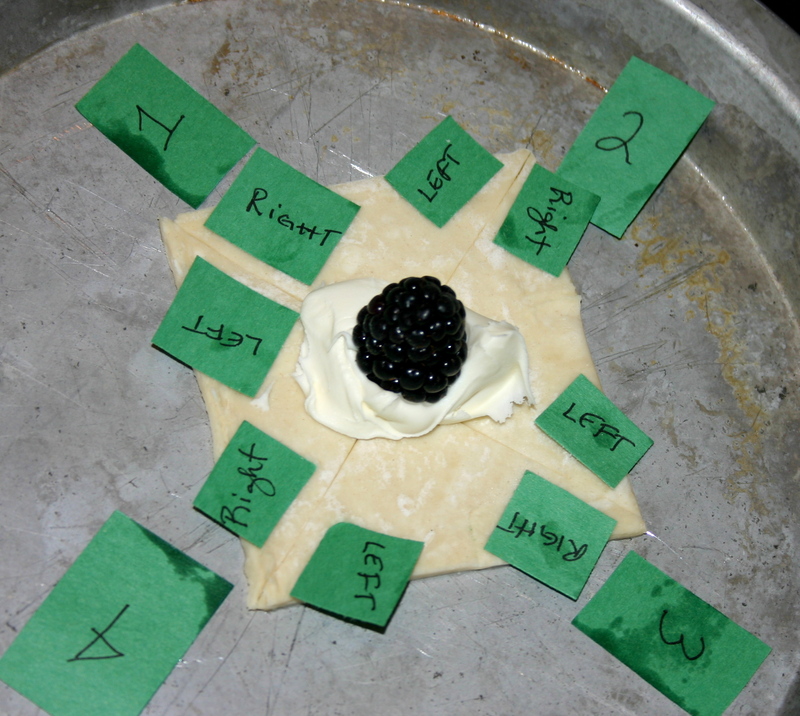 Step 3: Add the filling to the center of each square. Step 5: All finished and time for Mom or Dad to put them into the oven. Step 6: This step is optional. 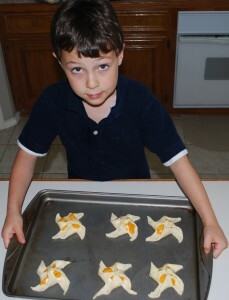 Beat one egg and brush each of the pinwheels with the egg wash using a small brush. Alternatively, leave as is and place in the oven. I have done it both ways and have not seen or tasted a difference. So you decide if you want to use an egg wash or not. The example below shows the pinwheel with an egg wash, because mykids love to help and they each need the same number of “jobs” to do. You may also notice that it has a different filling. This is a savory filling, so create your own unique version of these wonderful delights!